Today we’d like to introduce you to Carl Grauer. Born in rural Kansas, the youngest of four brothers to God-fearing conservative parents, Carl left to bigger pastures to complete his degrees in human biology and his MFA in medical illustration from the University of Kansas and Michigan, respectively. Upon the sudden death of his brother in 2012, He committed his life to an authentic pursuit to his passion of art making. 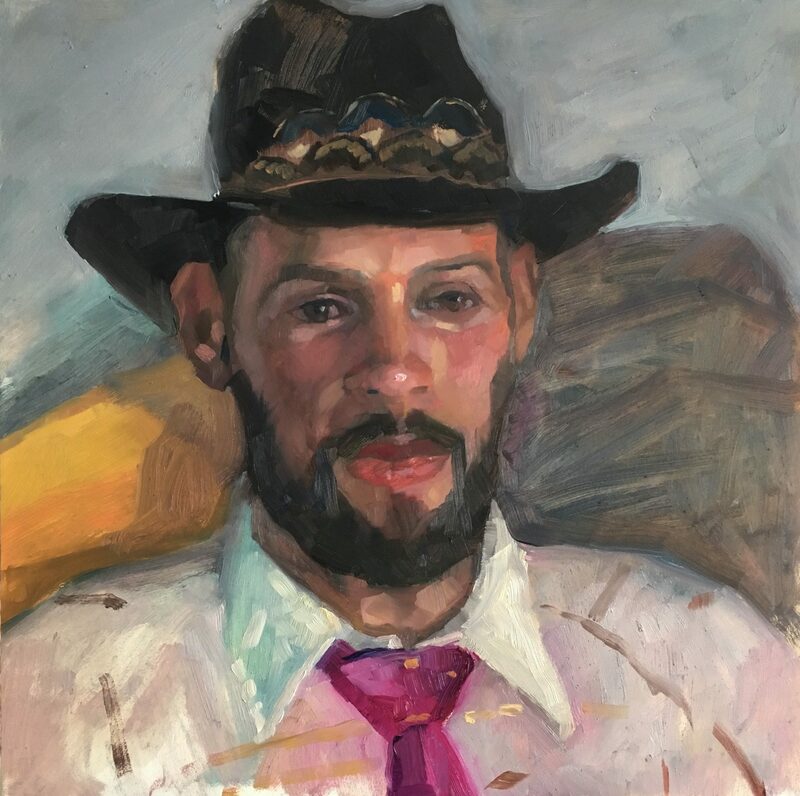 He spent two years in London studying figurative and portrait painting with several studios and garnered success showing work internationally, including being shortlisted for the 2015 Wells Art Contemporary Award in the UK and exhibiting with the Royal Society of Portrait Painters in London. 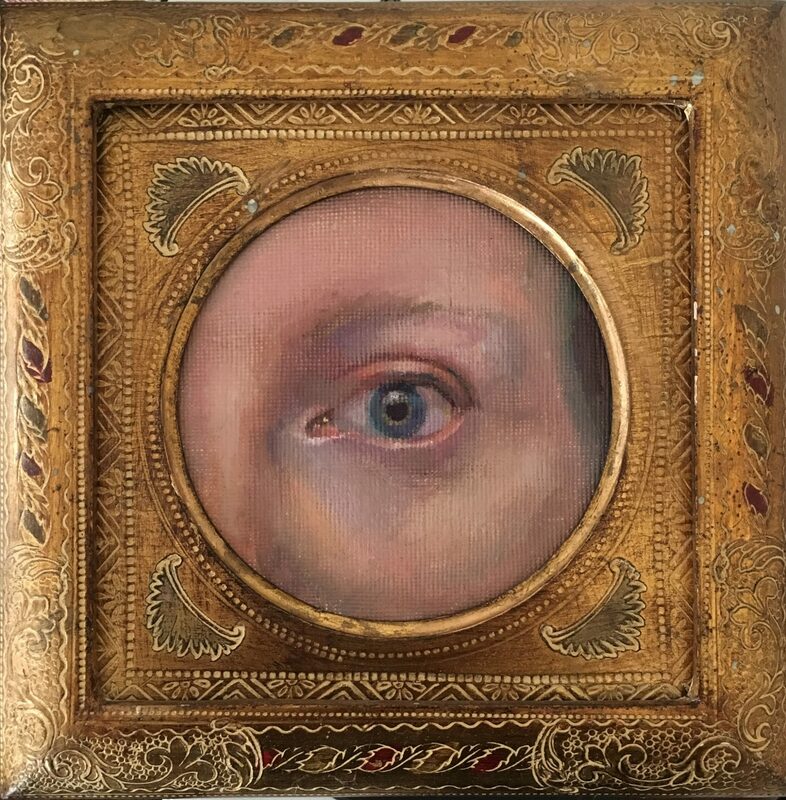 Currently he is showing with Carrie Haddad in Hudson, NY. This fall Carl will be showcasing his “Two Hour Portraits” with The Loft at Liz’s in La Brea. I am a contemporary portrait and figurative based artist working in oils. 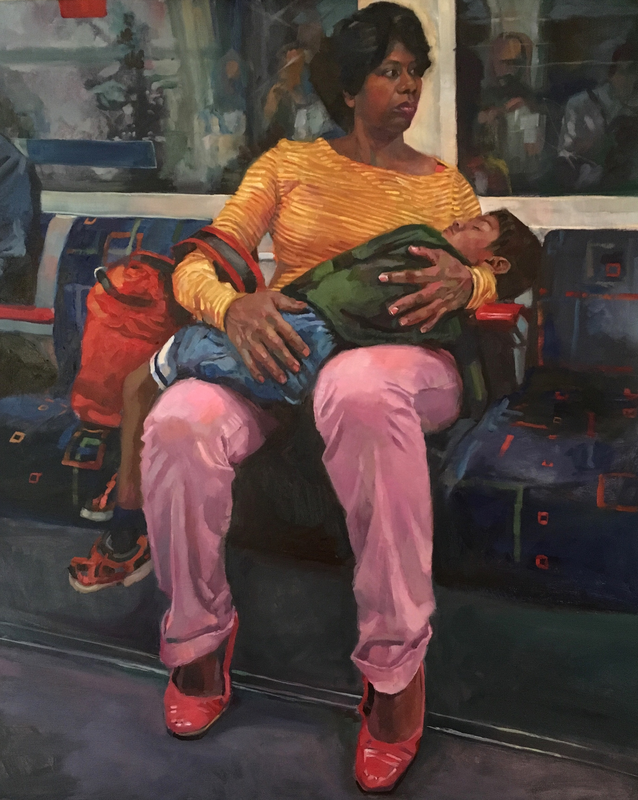 Much of my influence for these works has been through artists such as David Hockney, Paula Rego, Lucian Freud and Alice Neel to name a few. An example of my contemporary portraiture is a series called “Two Hour Portraits”. In this series, I paint subjects in a set amount of time. This project began in 2012 simply as a practice in which to better the technical skills as a painter. The main goal was to quicken the pace with mindful strokes in which to create a better likeness, but it became so much more. It continues to excite because of this element of time and the experience I get with each sitter. The time of two hours was chosen as it is a perceivable time in which a person could sit comfortably without distraction and a small enough time to serve as a challenge to render a full portrait. At the start of the project there were so many more challenges beyond just that short time. Whether it was the changing light of the day, fidgety sitters, or even just the conversation. These challenges have been embraced and enjoyed within my evolution of a maturing painter. There are many rewards to this project, even just the stillness of sitting for two hours without distraction. As a ritual, a timer is set, some music is put on and we begin. With each new sitter, there is a new story in tandem. We share funny stories, real life situations, some intense apolitical, philosophical or art discussions. Or we just sit. But in the end, together we create a link, a link between each other and another link in this chain of “Two Hour Portraits”. Another series of work with which I currently am working is “Dorothy and Judy and OZ”. Having grown up in rural Kansas, I have always had a super fascination with the Wizard of Oz and Judy Garland. And, as a gay man this attachment is only enhanced by her historical and cultural influence as such. The day Judy died three tornadoes touched ground 30 miles East of my hometown. On the day of her funeral, the Stonewall Riots erupted. This signaled the official beginning of the Gay Rights Movement. Ever since learning of this and other synchronistic events it is my journey to paint this series. 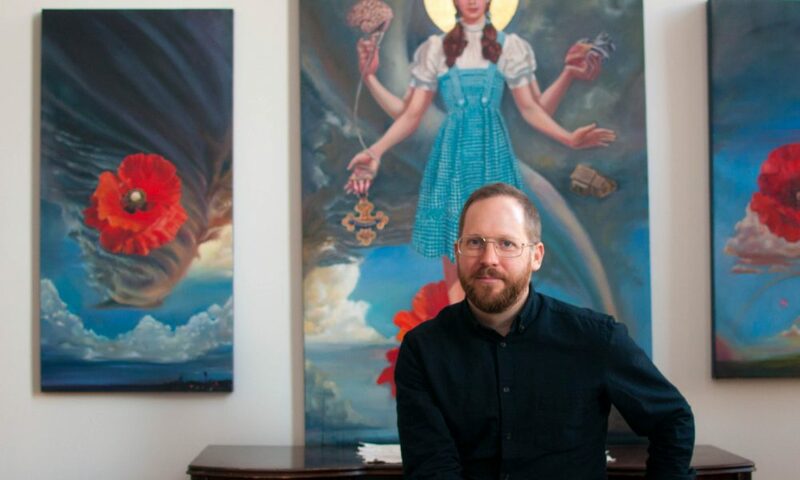 Using surrealism, this work focuses on Judy Garland, the Gay Rights Movement and The Wizard of Oz. This series references religious artwork from the 15th century as an influence. Artists used are such ones as Rogier van der Weyden and Jan Van Eyck. Other influential work includes late 19th Century Indian mythological art. I also explore the subject matter of the Wizard of Oz and its context within celebrity worship. An example of this series is a triptych entitled “The Oz Altarpiece”. 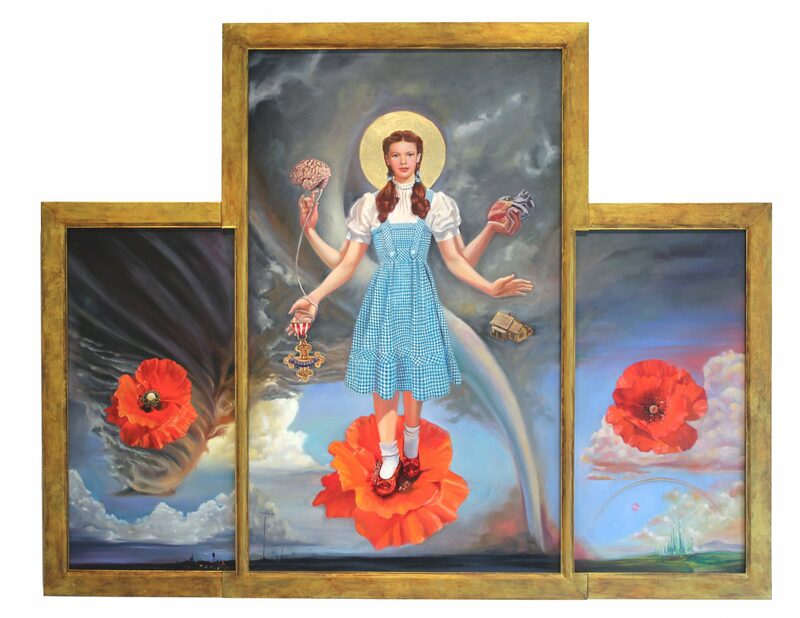 In the painting, Dorothy Gale is floating through a tornado on a large poppy. She has four arms, like the Hindu goddess Lakshmi, holding the brain, heart, her badge of courage and home. Flanked on either side are panels. In the first panel is a scene of the tornado forming over my birth town of Wilson, Kansas. In the right flanking panel is the clouds clearing forming a rainbow over the Emerald City. Conditions for artists have always been difficult. It is a life choice that some do not understand. To dedicate your life to making art is a mix of sacrifice and reward. It takes time to develop the craft and it takes training. We as artists are sometimes viewed as magicians and that this work just comes out of us, but it takes years and years of building the skills to develop something that may seem to others as effortless. I don’t know if life is any easier or harder because that depends on one’s own demographic regardless of your chosen profession. Some people have more privilege than others and that is just true within the world of art as well. I love to see that more women are getting recognition. Not that it is anywhere near what it should be, but that is, for sure, a positive thing to see. The one thing I was told regarding succeeding in art is that if you know you are good and you believe you have it, then do not stop. Just keep going. If you keep painting and keep working eventually you will get there. Scrape and claw your way if you have to but longevity and persistence pays off and that is what I intend to do. What can cities do to help? Participate. Sit for a portrait. Visit a gallery. Purchase art form an artist you admire. Donate to organizations that support the arts. Vote for initiatives and for politicians that value the arts and culture. Be active and make a stand for culture. The Loft at Liz’s is pleased to feature my work in their forthcoming portraiture exhibition. The show dates are September 29th to November 6th, 2018. 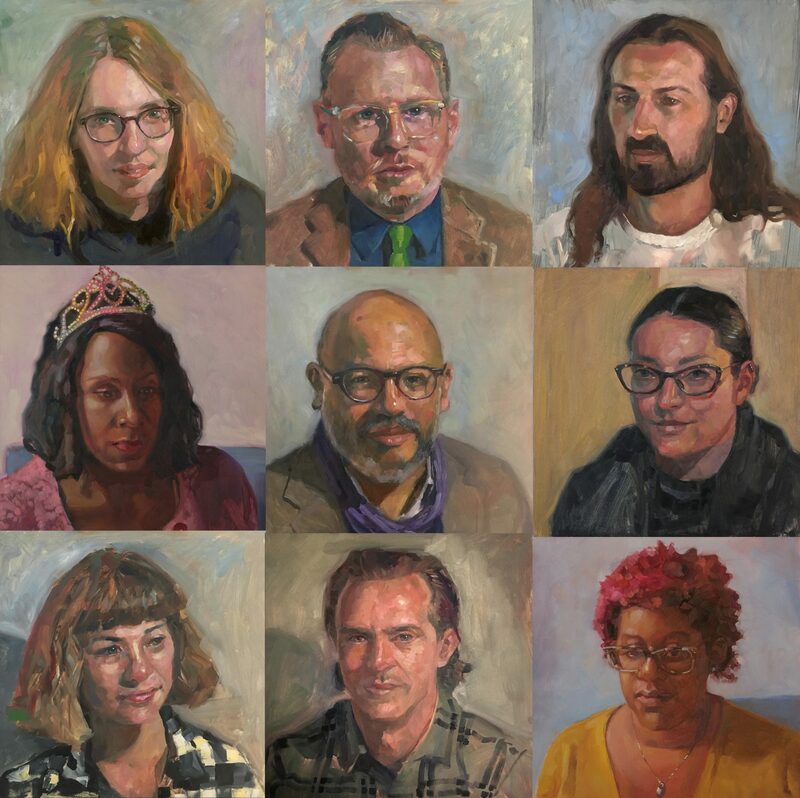 In addition, I will have a weeklong residency in the Projects Room from October 16th to 23rd where people can schedule a portrait sitting or watch as I paint live. The single photo of me should be credited to Monika Murren.